In retail and ecommerce, you have seconds (and that may even be generous) to get a qualified searcher with high purchase intent to bite on your paid search ad or simply gloss over it. Seemingly small details in your copy can make all the difference. 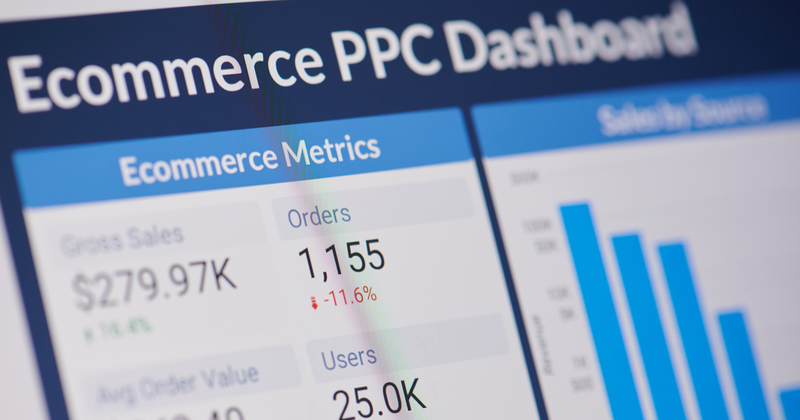 What follows certainly isn’t an exhaustive list, but here are seven important details that can give your retail and ecommerce PPC campaigns an edge over your competition. Google and Bing both offer multiple headlines (up to 3 with 30 character limits on each) to use in your PPC ad copy. Having all those characters available can be a blessing or a curse. Sometimes it’s necessary, but other times the old adage of “less is more” applies. You can go too crazy and muddy up what should be a simple message. Most experienced PPC marketers I talk to will tell you to put the Call to Action (CTA) in the second headline. Start there, but obviously test it for yourself. That new third headline isn’t guaranteed to show. So for you, this means you should be careful what text you put into it. If there is a “must have” statement or CTA, do not put it in that third headline. Ad for a fictional retailer. Note that the third headline does NOT always show. Don’t confuse the destination URL with the display URL. The destination URL may be a long ugly string and that’s fine. However, you can make the display URL that’s seen in the ad pretty. More important, you can make it useful and give the searcher just a small boost of confidence that they’ll find what they want by clicking on your ad. Both Google and Bing wisely give the display URL a contrasting color so that instantly makes it easy to stand out. Use that advantage to give yourself an edge with your potential customer. Admittedly, these aren’t anything new or advanced. In fact, they’re one of the most basic of all the available ad extensions. Yet so many retailers and ecommerce sites either don’t use them or do, but probably aren’t getting the results they feel they should be. In general, sitelink extensions work best when trying to deliver an ad for phrases where more than one potential destination could be justified or when the search intent is not crystal clear. Note how this branded search for the retailer’s name returns an ad with extensions taking the searcher directly to popular category pages. A campaign focusing on generic keywords where you use some type of broad (with or without a modifier) or phrase match. The ad below involves the same fictional online-only retailer, but this time the searcher queries “Kitchen Faucets” (note that generic keywords like this likely won’t be cheap). Note how the extensions for this query show options that may be of interest to that searcher who already knows they want some kind of a kitchen faucet (no need to show options for other kinds). The structure and hierarchy of your PPC program are important. As you could see from the examples above, a searcher performing a general branded query may need a different set of CTA prompts and landing page destinations. The site extensions available to be shown in your ad will depend a lot on how you structure your campaign (account, ad group, campaign). Sitelink extensions are not guaranteed to show. Even if you do everything right, sometimes they just don’t show and it can be frustrating so don’t bet your entire strategy on them. Factors like ad rank, ad position, and other enabled extensions all play a role in whether they show. Make sure the landing page on any sitelink extension is highly relevant to the text in the ad. Some customers just need to talk to someone before they’re able to make a purchase. Maybe they want to know if something is in stock (yes, they should be able to find that on the website), actually talk to an expert, or just want to place the order over the phone. It’s up to you to do the math to determine whether taking a phone order is something your business model supports, but in general providing another means for a customer to reach you isn’t a bad thing. In those cases, a simple call extension is highly useful on the desktop and absolutely critical on mobile. Call Extension displaying on a mobile device. A call is treated the same as a click on the ad would be. In other words, you’ll get charged. Call extensions can help you close the deal, but make sure you’re staffed appropriately to handle any increase in volume and trained to answer any questions arising from the call. If not, don’t bother – few things can do more damage to your reputation than not answering the phone when a customer calls. You can schedule call extensions, so make sure they’re only showing when staff is available to answer the phone. If you use your own number, make sure it matches the number on your landing page. If it doesn’t, you risk an ad disapproval. Give potential buyers the confidence that you’re a reputable source to buy from. Sometimes a little social proof can tip the scale slightly in your favor in a crowded space. This is especially true if your brand is not a household name or you’re in the space where customers make infrequent purchases (like kitchen faucets, for example). It will display if you have at least 100 reviews or if Google determines customers have provided enough information to generate a rating. Getting that volume of reviews isn’t always easy when you’re just starting out. But the effort to get those reviews will eventually be worth it. It’s easier to sell product than it is to get a satisfied customer to give you a review. For more information on reviews, check out Where & How to Get the Right Reviews for Your Business. If you have brick-and-mortar locations where customers can buy products, your ad will be more effective with this extension enabled. This is one of the fastest ways to get new customers into your store. If you have multiple locations close to one another, then it’s even more useful as you can quickly give that potential customer a location choice so they can pick what works best for them. The location extension is simple to enable when setting up an ad as long as your Google My Business listing is updated, accurate, and linked to your Google Ads account. This is where you’ll need to make sure your closely aligned with whomever manages your local SEO. If you’re a brand selling direct on your website or Amazon, but also sell through the brick-and-mortar retail channel, it’s fairly common to hear grumblings that you’re trying to compete with the very stores that sell your product. This is where the Affiliate extension can be useful. The framework and structure of your PPC program is so important that it cannot be emphasized enough. Many of the features covered in this post are far less effective with a poorly structured program. A long time ago a very wise editor told me “never use more words than you need to get the sale.” You have a lot of potential characters at your disposal and there are plenty of valid reasons for using all of them, but don’t feel obligated to. If you can make your point quick quickly, do it.